Ressence took to the SIHH 2018 stage earlier this week to unveiled it's latest innovation – the Type 2 e-Crown Concept. 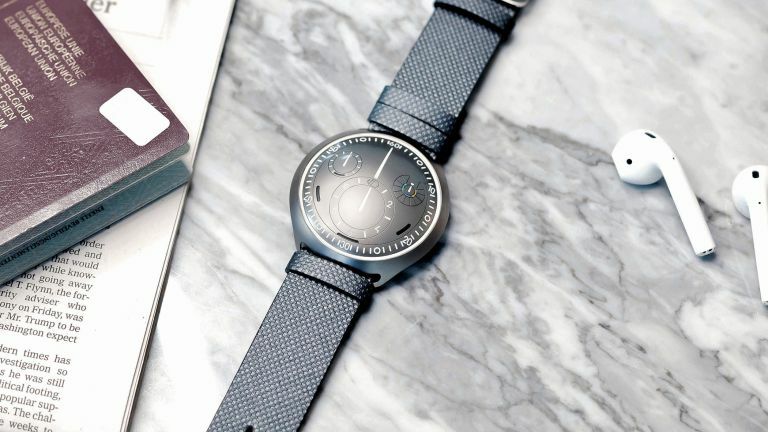 And, despite not being the first hybrid watch we've seen (far from it), it's certainly the most innovate, with a hope to "improve the mechanical watch of today by incorporating technologies of tomorrow". Rather than using the smartphone connection for activity tracking, the e-Crown showcases the tremendous potential of its automated time setting. You only need to set the time on your Type 2 e-Crown Concept once, via the lever on the case back, and you are ready to go. No need to think about setting or adjusting it anymore, the watch and companion app does it automatically for you. Yes, there are numerous Casios and G-Shocks with a similar function, but the Ressence is impressive because it's an automatic piece, not a battery-powered quartz watch. The Type 2 e-Crown Concept is a 500 component mechanical wonder, offering "the ultimate 21st century horological experience". Instead of manually setting the time zones, the app offers you a geolocation and a drop-down menu of cities. You can then choose, pre-set and finally send the time zone information to the e-Crown. It's accurate to the second, too, and will even change winter or summer time automatically. The e-Crown actually has three modes, full, semi and mechanical, allowing you to decide how much control the app has. Of course, it's easy to get swept away by the technology, but on the face of it, the Type 2 is still a beautiful piece. The face may look like an electronic screen, but the mechanical hands and Superluminova markers are actually magnified by the oil-filled case – giving it a striking, vivid look. The Type 2 e-Crown Concept is, as the name suggests, a concept for now, but the company has said that a production version should be hitting the market in June, 2018.